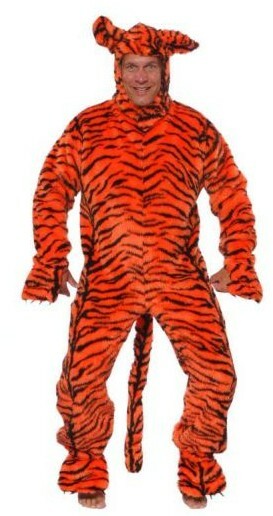 Orange and black tiger stripe jumpsuit with tail and matching headgear. Team up with Winnie the Pooh and bounce off down to the woods. Pooh the honey collecting bear jumpsuit with attached hood. Join up with Piglet and Kanga and head off on an epic adventure. 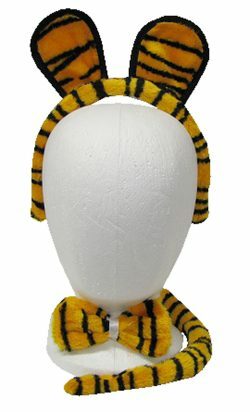 Tiger headband with tail and bowtie. Kangaroo pouch jumpsuit with headgear. Add some pantihose. Great costume to use for a Pooh Bear theme. 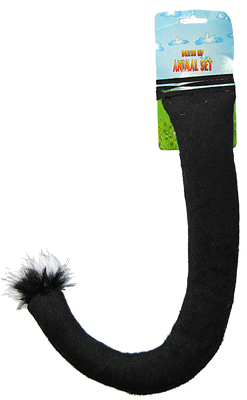 Black animal long tail. 45 cm. Also available in brown and grey.